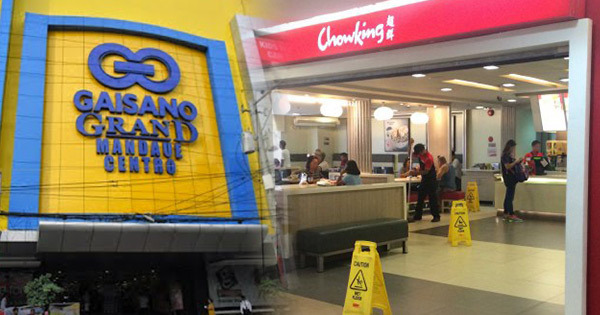 Crew members of Chowking at Gaisano Grand Mall Centro was duped by an impostor, a man who claimed to be Mandaue City Vice Mayor Carlo Fortuna. "Early this evening [Tuesday, September 6] employees of Chowking Grandmall were duped by a person who claimed to be the Vice-mayor of Mandaue who ordered through phone close to p2k [P2,000] worth of food items and had them delivered to the city hall. The impostor was even able to convince the delivery crew to buy for him an e-load equivalent to P1,100.00 that was loaded to his phone. As to why the service crew did it baffles me. The objective was obviously the load not the food. He was nowhere to be found and all calls were unanswered. Police are investigating the incident. I also told the manager to conduct a parallel investigation. I therefore appeal to the public to be wary of any persons representing to be me or uses my name. Please report to the police immediately." One of Fortuna's Facebook friends said the modus operandi already happened in the past, in which ex-Mandaue VM Glenn Bercede's name was used. Many suspect that the person who pretended to be the former and incumbent vice mayors must be one and the same.